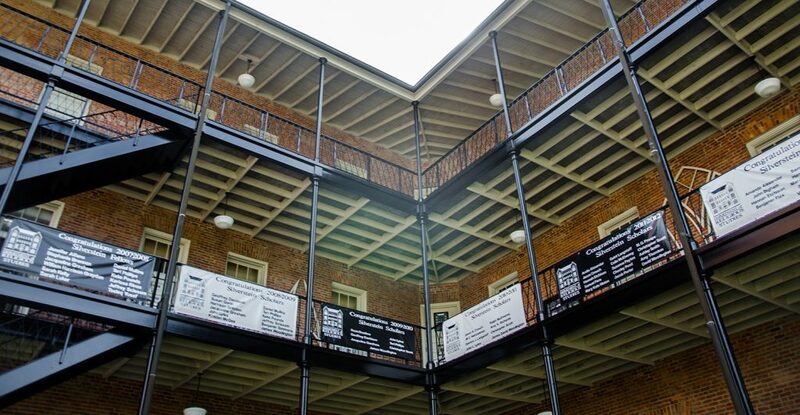 Each Honors Week, the department’s balcony is hung with banners listing past years’ Silverstein Scholars and Fellows. Although the state of Alabama makes possible the work carried out by the faculty and staff of the Department of Religious Studies, private giving also plays an important role in the life of the department. From the Aronov Endowment to the Silverstein Scholars and Fellows, the Ulysses S. Goodwyn Award, and such funds as the Amy Lynn Petersen Endowed Support Fund and the Congregation Ah-Goodies Ah-Chem Endowed Support Fund, the Department’s mission of teaching about religion in a descriptive and cross-culturally comparative manner is carried out all the more effectively because of those who have made us the beneficiaries of their generosity. The funds that result from such gifts allow the department to provide its students with scholarships and even work experience. Our faculty’s teaching and research also benefit and they assist us to provide programs that are open to the public. Even historic Manly Hall — the place where all of this work is carried out — has benefited from the foresight of our donors. Gifts to the Department of Religious Studies can be for any amount and can either be designated by the donor for a specific purpose or undesignated for general departmental needs. Gifts may also be directed toward already existing funds. If you would like to discuss the possibility of giving to the department, or learn more about our goals and needs, then please contact the chair by mail, phone, or email.